Now that Halloween is over, it is time to pack up all those decorations. Whether you totally transform your home into a haunted house or just put up a few jack-o’-lanterns it’s a good time to think about junk in your yard. Things like broken planters, busted fences, rusty auto parts, spare tires and construction waste might have been perfect for that haunted atmosphere but now as you head into the holiday season you want to get rid of all that scary junk. That’s easy to handle by hiring Junk King Chico. As a first-time customer working with Junk King Chico you are going to be pleasantly surprised at how hassle free getting rid of all your junk is going to be. That begins with scheduling your appointment. You can book with Junk King Chico online and score a $30 discount. Even though you will be setting up your day and two hour window online you’ll still be contacted for final confirmation. Most Junk King appointments are completed within 24 hours of that first contact. However, if you’re ready to get rid of your stuff today, then you could benefit with a same day pickup. Keep in mind that you don’t have to do any work. That includes gathering together all the things you want to get rid of. When the junking crew arrives, you’ll show them around your property and point out all the things you want to have removed. This can be stuff that has been sitting in the same spot for years. You can also be a bedroom set in an upstairs room or swing set in the backyard. It really doesn’t matter to the Junk King crew what they’re hauling away. The only thing they are focused on is to make sure you are completely satisfied. They’ll even sweep up the areas they’ve just removed stuff from. That’s just how they roll! 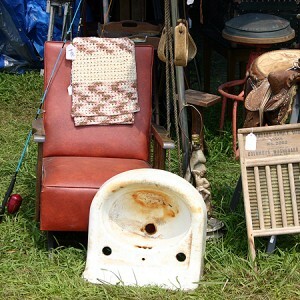 You’ll also be happy to know that everything you are turning over to junk King has a chance to be donated or recycled. You don’t have to designate which items can go where. All of that recycling work is going to be done automatically. If you’re ready to get rid of all your scary junk, then you’re ready to bring in Junk King Chico today. This entry was posted in Chico Junk Removal and tagged junk, Junk King, junk removal on October 31, 2017 by Junk King. Last updated October 31, 2017 .